…but maybe not in spelling! 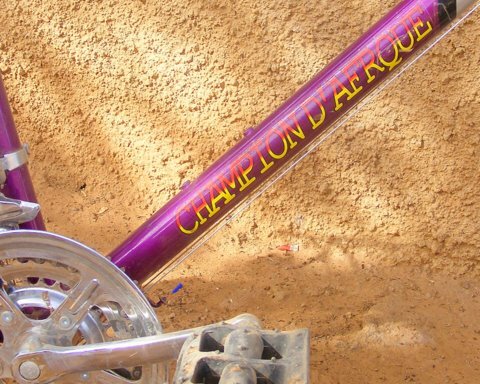 The writing on this bike translates as “Champion of Africa”. However, look closely and you’ll see that the letter ‘i’ is missing from ‘Afrique’. I’ve seen more than one bike like this and wondered whether it’s actually another bit of Chinese ‘Engrish‘.